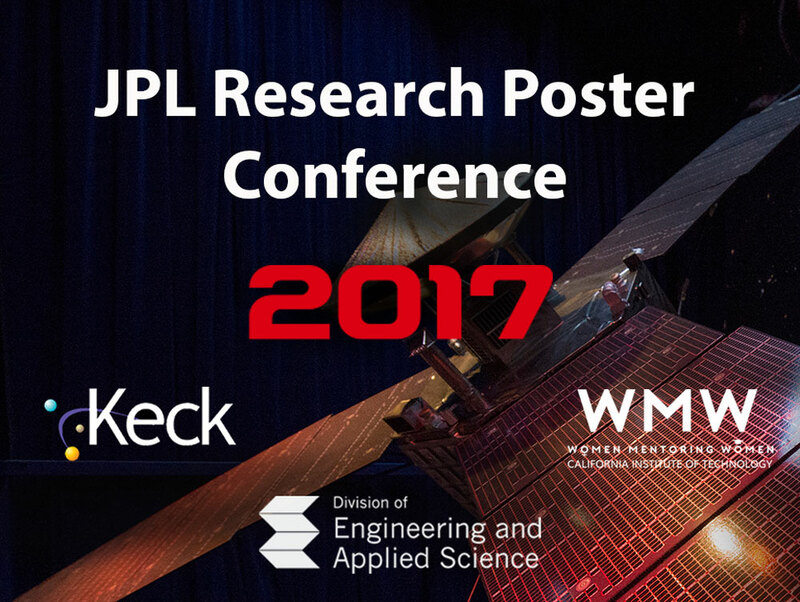 The JPL Office of the Chief Scientist and Chief Technologist cordially invite you to attend the 2017 JPL Research Poster Conference on Wednesday, November 15, 2017.
planetary science and life detection. This is your opportunity to meet with researchers who are conducting research strategically important to JPL/Caltech and NASA. The posters will be available from 10 a.m. to 4:00 p.m. Researchers will be onsite to answer questions at various times throughout the poster conference. Transportation/Parking: The JPL/Campus shuttle is available to provide transportation to and from JPL on a specific schedule (this schedule will be sent to registered attendees). In addition, we will provide JPL Parking Permits to the first 25 people indicating in the RSVP that they are attending via car. Check-In: JPL will provide event badges to visitors as they arrive. Required credentials: Foreign National visitors need to bring their passport; US visitors need to bring their driver’s license; Green card holders need to bring their green card. Visitors are not allowed to go outside the event area at any time. Food: Light refreshments are provided, and visitors are welcome to purchase sandwiches and other food items from the Rover coffee bar. This event is co-sponsored by the Caltech Division of Engineering and Applied Science, the Caltech Center for Diversity Women Mentoring Women Program and the W. M. Keck Institute for Space Studies.